Retro Deer Christmas Card PSD - Free Photoshop Brushes at Brusheezy! Give your holiday designs a throw back feel with this new Retro Deer Christmas Card PSD! This little reindeer Christmas card PSD feels like it's from another time, and your friends and clients will love it. This retro deer Christmas card PSD is decorated with a blue polka dotted background and patterned winter trees. 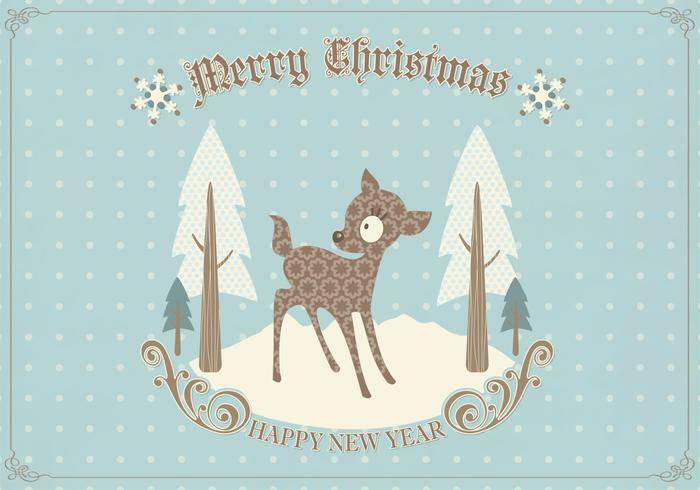 Use this retro deer Christmas card PSD in your next project and then check out the <a href="http://www.vecteezy.com/holiday-seasonal/59382-retro-deer-christmas-card-vector/premium">Retro Deer Christmas Card Vector</a> over on Vecteezy!